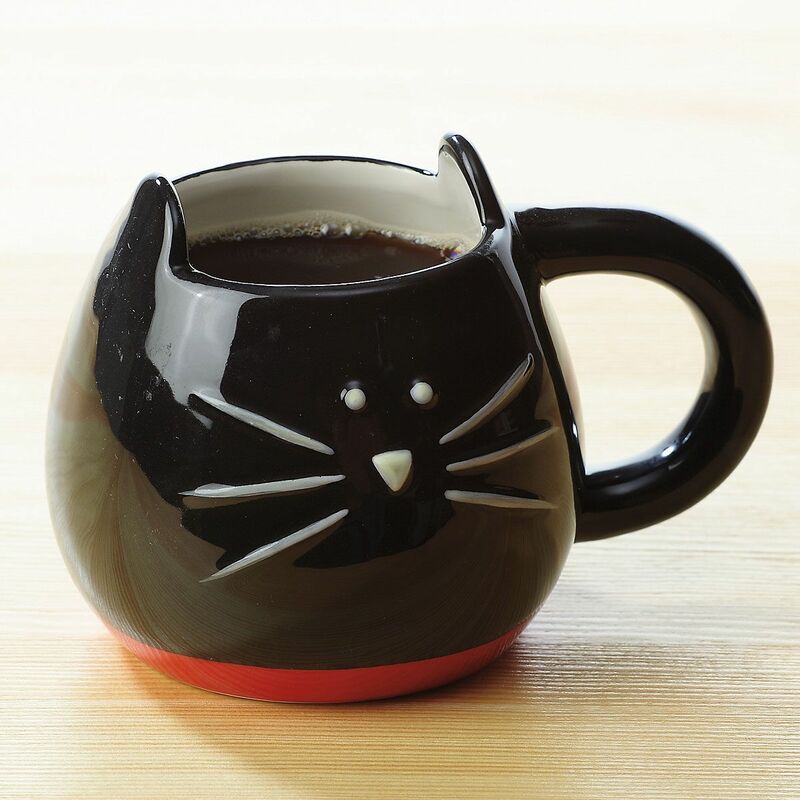 Have a hot beverage with the supervision of a black or white cat. Ceramic mug holds 12-14 ounces. Hand wash.